CVD Equipment Corporation's Hydrogen Chloride (HCl) Dry Etching System is an automatically controlled production unit for Hydrogen Chloride Etching or Vacuum Baking of susceptors to pre-condition and remove deposits. The system is capable of operating at temperatures > 1200 °C with hydrogen and hydrogen chloride. 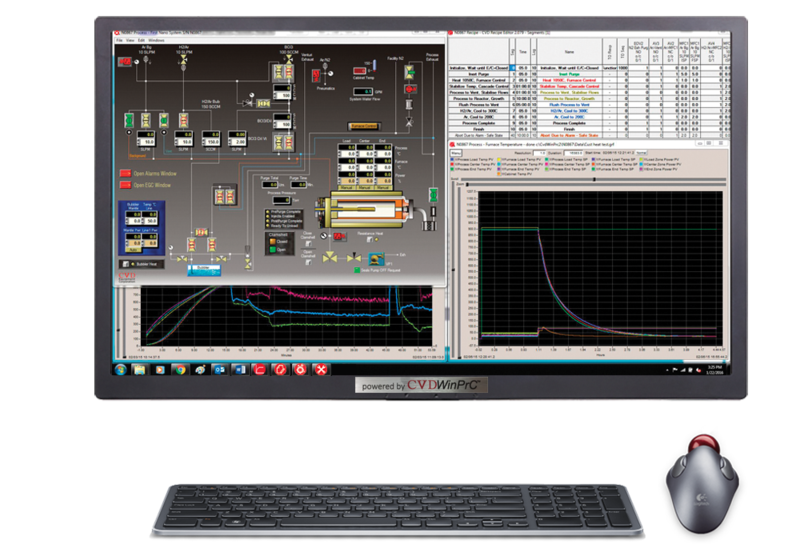 The system is used to support LED manufacturing in cleaning the graphite susceptors and quartz used in MOCVD and VPE systems. HCl Etcher cleans III-V deposits on graphite susceptors with dry etching using HCl gas at high temperature instead of wet etching using acid. Dry etching is faster and cleaner 4than wet etching in cleaning susceptors and eliminates the baking process after cleaning, enhancing the life of the susceptor. It will also pre-condition new susceptors and increase productivity and yield by eliminating the contaminating residues that can be left by wet etching. With the dry etching process, the performance of a susceptor stays the same by avoiding any liquid and moisture residue. It allows repeatable results on film deposition from run-to-run. The susceptor is ready to use after dry etching. No residue remains on the susceptor and contamination is avoided. 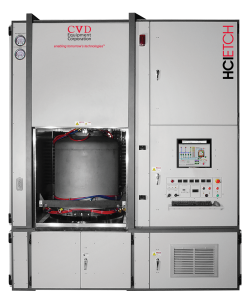 One HCl etcher can support five (5) or more MOCVD/VPE reactors. With the HCl etcher, susceptors can be cleaned in house, reducing overall manufacturing cost. HCl Etcher is designed for dry etch cleaning of parts / components. Consult factory for more information or to request a quote.